Hello lovelies! Side note…completely random…after a thorough look of my blog…I apparently love the word “phenomenal”…random thought done. Lucky for me, I had the privilege of being a part of Inside My Library Mind’s Book Swap Series; I truly love her blog and have been obsessed with her posts since I first started blogging. If you want to see what a real genuine book blog looks like, go visit her site please! Oh! But please come back and read this too…ha-ha. The Book Swap: I look at Marija’s “read” shelf on Goodreads and choose FIVE books that I think sound interesting. Marija then goes through my choices and discusses her thoughts on my choices, in addition in choosing ONE book she thinks I would enjoy the most. Then vice versa: Marija goes to my “read” shelf on Goodreads and chooses FIVE books that she finds interesting. I examine her choices and discuss my thoughts on them, in addition to choosing ONE book I believe she would greatly enjoy. Images either belong to Inside My Library Mind or have been taken from Goodreads. As I mentioned earlier, Marija is one of my favourite book bloggers. When I first started “Bookmark Your Thoughts”, her blog was one of the first blogs I began to follow. I feel as though we started talking more this year, which I’m incredibly happy about! If you’re looking for that blog that has amazing reviews with a little extra something special, you really need to pop over to Inside My Library Mind. There are a wide variety of posts, from book reviews to book swaps to bookish discussions. Not only are her posts well done and interesting, she’s just a lovely individual herself! Friendly, kind, intelligent, and funny…there’s no reason to not enjoy having a fun conversation with Marija! If you aren’t already, please go follow all of her social media outlets! Side Note: She also has a really adorable love for The Raven Cycle…if any of you love that series! My Comments: You would be right my friend – I actually read this for my “Woman in Fiction” course. I haven’t read “The Bell Jar” but it does explore women’s health and the treatment of women. It’s a descriptive tale depicting women suffrage back in the 1800’s, when men would simply send them to asylums when they began to show any individual thoughts or showed independence of any sort. What’s the real kicker is the main protagonist is an unreliable narrator…so the ending is quite the twist. Additionally, Gilman’s use of language to depict the woman’s gradual decline into madness (…or was she mad…) leaves one utterly speechless; that was my deciding factor to use this story for my final paper for the course. My Comments: Oh, I most likely have…I tend to recommend this manga series to anyone who’s interested in trying out manga. It has a VERY similar feeling as “Orange”, but a little less Sci-Fi and more…magical? This was one of the first manga series I ever read, which was recommended by my friend in high school. The story follows a high school orphan who takes residence with a family with a particularly mysterious past and an even stranger family curse. It’s an adorable magical romance series that has you laughing so hard one minute and then in absolute tears the next. My Comments: Oh wow…this takes me back a LONG time ago! Funny thing, I actually didn’t know Colfer was the author for the Artemis Fowl series until MUCH later, which I never read by the way. However, I’m sure you’ll fall in love with this novel! 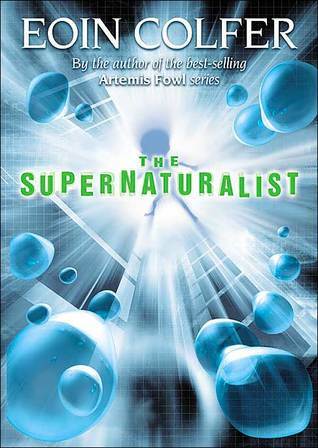 It’s a high action and tense novel following a young teenage orphan who helps save the citizens in the city by fighting off parasites, ones only he and a group of “Supernaturalists” can see. Honestly, I couldn’t put the book down. I sped through it! You know it’s a great book when it’s been YEARS and I still highly recommend it. My Comments: Oh, how I love Shakespeare. I love his works SO much, I took a course called “Shakespeare’s Comedy and Romance” in undergrad. If you’re looking for something dark and twisted like “Hamlet”, then I would definitely give Macbeth a try. It’s a legendary story, so much that it has it’s own superstitions within the theater realm; this is mainly due to the curse told at the beginning. 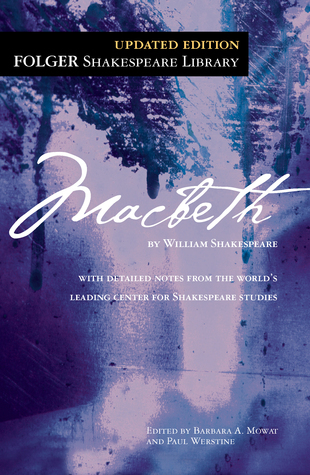 Family turmoil, betrayal, and lots of death…that’s basically Macbeth in a nutshell. 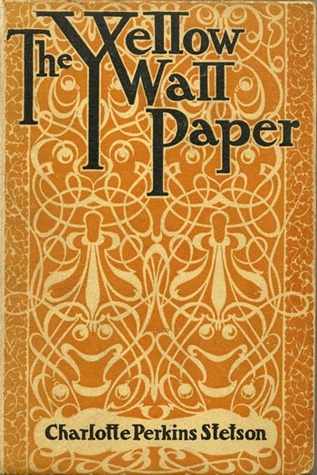 It’s one of his easier works to read, but you may still want to buy a version that has the “helper section” (usually in the middle part of the book). I also feel as though there are some more FUN reads from Shakespeare that you could dive into. My Comments: So, my teacher has us read this in elementary school…and we were ALL HEARTBROKEN! I don’t remember the novel too much, but I do remember enjoying it but also being on a rollercoaster of emotions…which you probably know already since you watched the film. I also was a fan of the movie, so I have a strong feeling you’d also really enjoy this novel. I don’t really need to tell YOU about it Marija, but for the rest of you…it’s a story about two children who explore reality through the use of imagination, travelling to a realm called Terabithia. 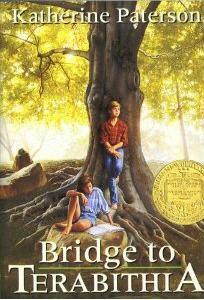 It discusses bullying and family struggles, in addition to the love that comes the bond of friendship. Be forewarned…you’ll need a tissue box. Marija…WHY DID YOU PICK SO MANY GOOD BOOKS?! This decision is tough…but I’m going to have to go with “Fruits Basket”. This is simply because I know you enjoyed “Orange”, so I have a STRONG feeling you’ll enjoy this series. The manga series is long but totally worth it. The characters are lovable, the story is well rounded, there’s depth to ALL aspects of the plot…you honestly can’t go wrong. I’m also rather curious to see your thoughts on it. I seriously recommend you read EVERYTHING you chose, but this is my top recommendation. I am so glad I was able to participate in this collab post with Marija; I’m rather addicted to these kinds of posts, especially since it allows me the opportunity to get to know you all more. If you would like to see what I chose from Inside My Library Mind’s “read” list, you can read her post here! If you want to see her original post regarding the Book Swap Series and wants to inquire about participating, please click here! Ooooh! This looks like so much fun!! It is! I love collab posts! I did one last year with a friend and was super excited to do this again! OMG, thank you SO SO MUCH, for your kind words, they mean the world to me. 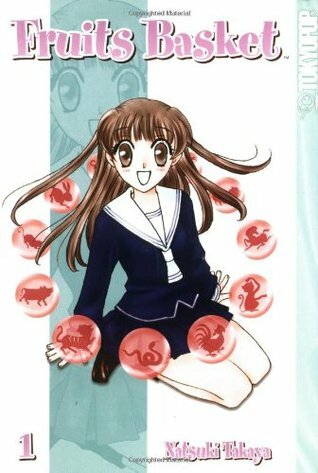 I am so glad you picked Fruits Basket, it sounds like something I would love and I can’t believe I still haven’t read it. It’s a great pick for me! I am so glad you liked doing this post and that you had fun. And thank you again for being so sweet! wow,i love your blog aesthetics-the little colorful changes you make like the horizontal line and your name sign really make a difference.love your blog.are you into anime too?I thought so because of your choice of books.Anyway,keep blogging and id love for you to check my blog out too! I love this! It’s such a good idea for a collab. Thanks! Inside My Library Mind thought of a great collab idea!! Shes really phenomenal. If you want to try it out you should reach out to her! You’re welcome. :)) I did, thanks for the recommendation! I commented on her book swap with you.